Fire lamps are widely used in decorative feature fires. They are sprayed with a red fade resistant lacquer to maintain its decorative effect. Fireglow Lamp FIR 60W BC (B22d) is rated 4.6 out of 5 by 7. Rated 4 out of 5 by MaryEN from Simple product not in High Street shops Very hard to find these in local shops so it made life easier to order them online. Very efficient service with good packaging. Rated 4 out of 5 by homeuser from Replacement lamp I've bought this product before and it has been relieable both in length of service and it kept its colour, will use this company again. Rated 5 out of 5 by Martin W from Does the Job - What more can you say These bulbs can be a bit scarce these days but found this at a Toolstation at a good price. Fits OK and does the job. My experience is that the colour tends to burn off over time, so they need occasional replacement before the bulb actually blows. 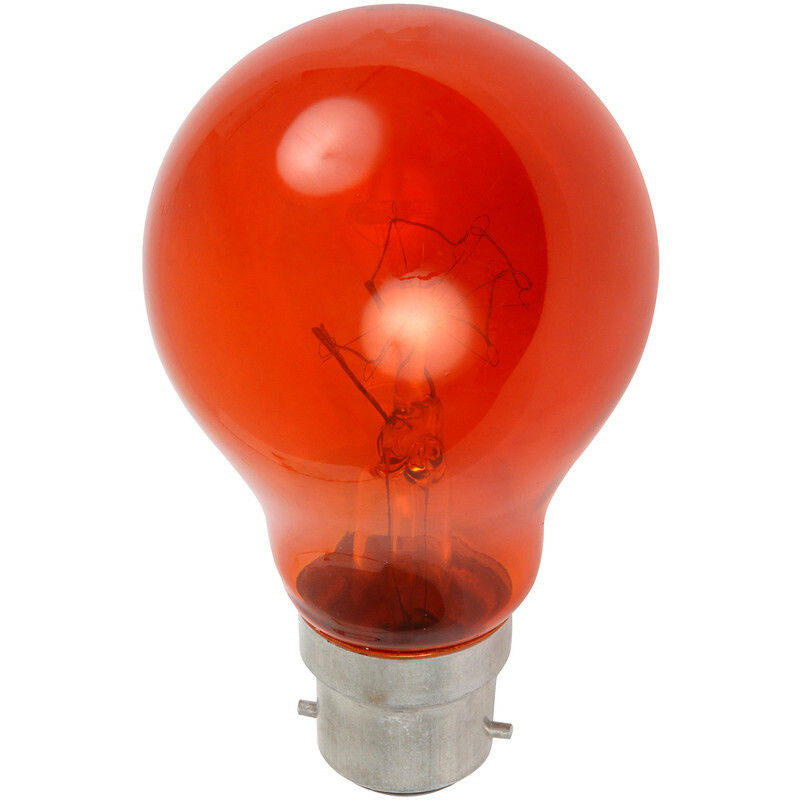 Rated 5 out of 5 by Bigpeteant from Lamptastic In the world of light bulbs this shines brighter in the firmament than any of it's rivals. Bulbs may come and bulbs may go but this one just keeps on glowing, bright and colourful like a like a dazzling aurora in the heavens. Say goodbye to cheap here today gone tomorrow excuses for light bulbs, this is the real McCoy. It is by far the greatest 60 watt bulb I have purchased for many a long week, with it's enticing orangey glow and sturdy bayonet fitting it stands head and shoulders over it's inferior competitors who pale into insignificance in it's all encompacing shadow. Rated 5 out of 5 by linedancer64 from Warm and inviting Had a job getting hold of these bulbs then found that Toolstation did them make our fire look so warm and inviting. Rated 4 out of 5 by Lin x from These are getting increasingly difficult to find! Too soon to assess the reliability of these bulbs - time will tell! 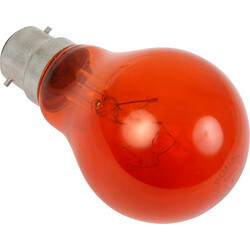 They are rather an artificial bright colour, but otherwise.........they are firebulbs, what more can be said!